Leaving things to chance has somehow got a bad name. Prominent contemporary artists outsource production to skilled experts able to guarantee a flawless finish. Big science consists in the repetitive testing of painstakingly formulated hypotheses. But, in the works of Siobhan McDonald, whose exhibition ‘Crystalline’ is currently on show at the Centre Culturel Irlandais in Paris (curated by Helen Carey; until 12 March), chance is a powerful creative catalyst. Today, as anthropogenic climate change threatens to alter the world dramatically, a sensitivity to that which has spiralled beyond our control takes on a new sense of urgency. The entire exhibition has been conceived as a response to this age of ongoing change and loss. 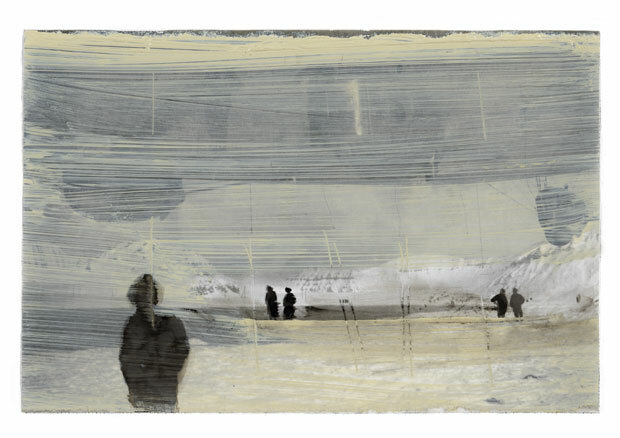 A diptych of small aluminium plates part-coated with powdery black salt is entitled The Seas are Warming Up. Solar Skin is like a large, sun-shaped mandala hung at one end of the gallery space. The sounds of glaciers melting (‘dying,’ says McDonald) periodically fill the air from At the Edge of Visibility, a four-minute film shot on a voyage inside the Arctic Circle. Where many ecologically conscious contemporary artists are vocally critical of scientific thought, McDonald’s work is more ambivalent. It stages the double bind of western civilisation and its concept of ‘progress’. On the one hand is a sense of the limitations of science, especially its preoccupation with measurement and its struggle to articulate meaning, life or value; on the other, is a celebration of the spirit of discovery, an excitement at the intrepid – from Arctic exploration to space travel. McDonald herself often collaborates with scientists and has carried out residencies at the European Space Agency and the Historical Seismic Observatory, among others. Exemplifying this ambivalence is the exhibition’s eponymous work, which was created to mark the scheduled launch of the Solar Orbiter in 2018. Stretching down the centre of the gallery on a knee-high platform are dozens of different-sized white squares, each curling up a little at the corners. 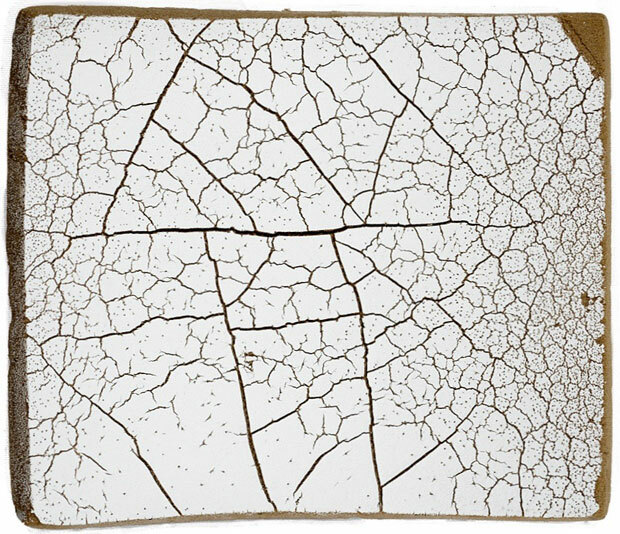 They look like fragments from the salt flats of Bolivia. In fact, each is a piece of resin sponge, painted in patchy, cracked and dripping layers with a patented white material called SolarWhite. Created by a private materials science company called Enbio, SolarWhite will be used to protect components of the Solar Orbiter satellite during next year’s mission to observe the surface of the sun. The material, McDonald tells me, contains a base of charred animal bones – acknowledging the link between organic life and technology, but perhaps overlooking the death that ‘progress’ has always fed on. McDonald’s responses to climate change range widely in their focus, from doomed Victorian expeditions into the Arctic (and the photographic plates miraculously discovered decades later) to the toxic atmosphere of the Triassic period (recreated in a laboratory by Jenny McElwain at UCD’s Programme for Experimental Atmosphere, and bottled for the gallery). We see corals from the bottom of the ocean alongside a large-scale photograph of the 2.5 million brightest stars in the night sky. From a pair of scales containing the 940 seeds of ‘every single Irish native plant since the beginning of time’ to photograms of ancient plant species and a mirror-flat and polished painting of a meteor shower, McDonald commemorates the vast diversity of the environment we inhabit and explores our equally diverse responses to it. She does so deftly and with an aesthetic that is at once coherent, understated and quietly powerful. Apart from some of McDonald’s fascinating paintings (an entire landscape evoked in a single mark), the exhibition’s highlight for me is one of the pieces over which the artist herself has had the least control. 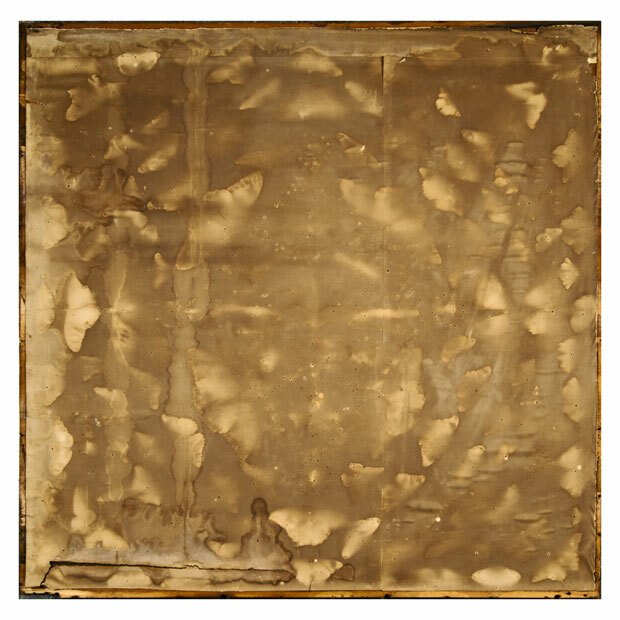 Silent Witnessing is a large sheet of old, yellowing paper, mounted on board. Across the paper are the blurrily distinct shadows of a collection of butterflies, once pinned in place, now long gone. All that remains on the page is dust and traces of melanin and pin holes in the paper. 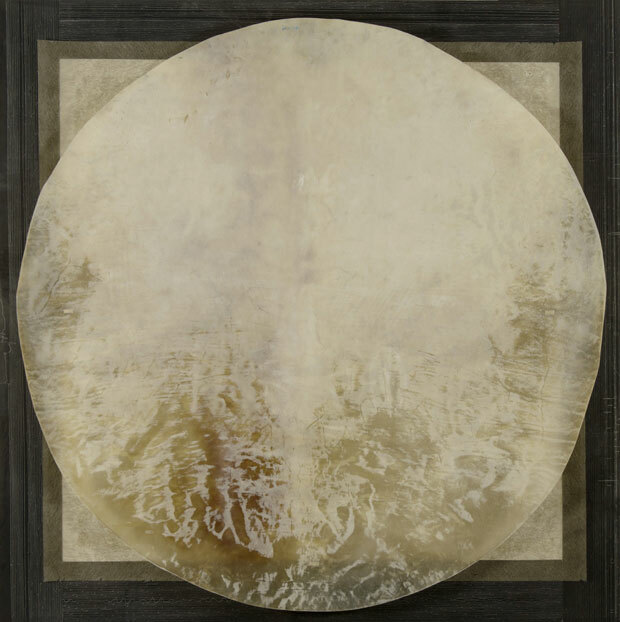 McDonald found this sad, beautiful object on a wall in University College Dublin and rescued it when it was due to be thrown away: ‘a natural photogram,’ she calls it. The chance discovery of an archive nobody meant to create: the resonance of these shadows of dead butterflies echo far beyond the frame that encases them. ‘Siobhan McDonald: Crystalline’ is at the Centre Culturel Irlandais, Paris, until 12 March.